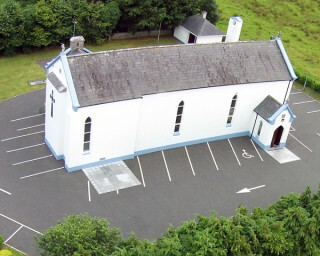 Skehana Church from On High ! 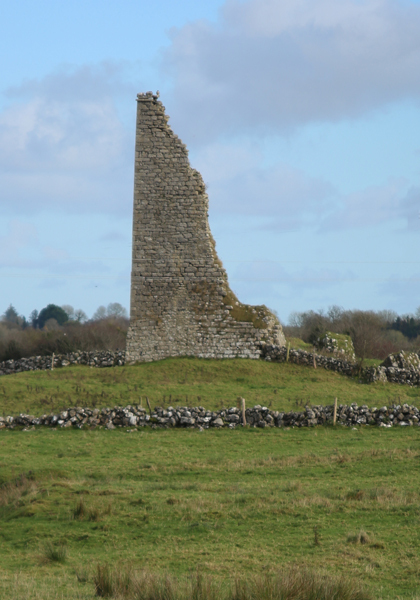 The Fitzgerald-Kenney family were the landlords who owned the lands of Skehana adjoining the Ffrench estate of Monivea. They built the current Church in Skehana. When Skehana Church was built in 1861 the main doorway was at the rear of the church where a window was installed some years ago adjacent to where the gallery stairs now exists. The floor was of soil and clay with just two seats to the front which were reserved for the Fitzgerald-Kenney family. It is thought these are the seats that are now placed at the rear of the gallery. While facing the altar there is an alcove to the left, immediately opposite the sacristy door, and this was originally a doorway for the use of the Fitzgerald-Kenney family to enter and leave the church. A special tomb was constructed for the family, immediately outside that original door opening, and this was accessible via a set of stairs with its entrance located at the altar where the lectern now stands. The raised section of this cast-iron railed tomb was removed in the mid 1960s, apparently for safety and aesthetic reasons, but the area remains identified with stone slabs. As already stated above, in 1870 James C. Fitzgerald-Kenney married Helena, daughter and co-heir of Major Patrick Crean Lynch, and their children inherited both the Killaclogher estate of the Kenneys and the Clogher estate in county Mayo of the Crean-Lynch’s. Fr. 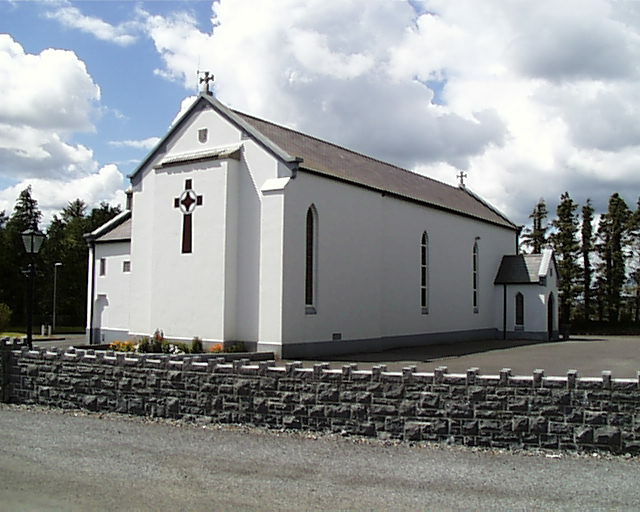 Tom Lynch served as Curate in Skehana from 1903 to 1906 and again from 1910 to 1911. The 1911 census for Esker, where the priest resided in those years. This page was added on 18/12/2014. I found this site today and it is wonderful to make a connection with the area from where my great grandmother came from. She was Carey from this area. You are doing a great job and I love the site.